Early Concho Belt Circa 1920-30. Gallery » Artifacts » Early Concho Belt Circa 1920-30. 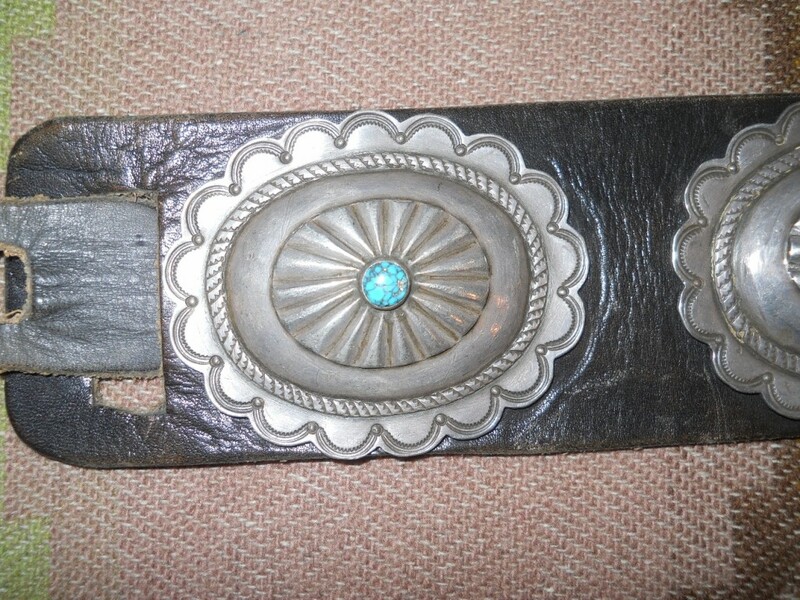 Early concho belt with eleven oval and scalloped conchos, and a matching buckle. 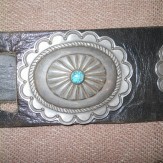 Each concho has a round cabochon of Burnham turquoise (also known as Godber or Dry Creek). 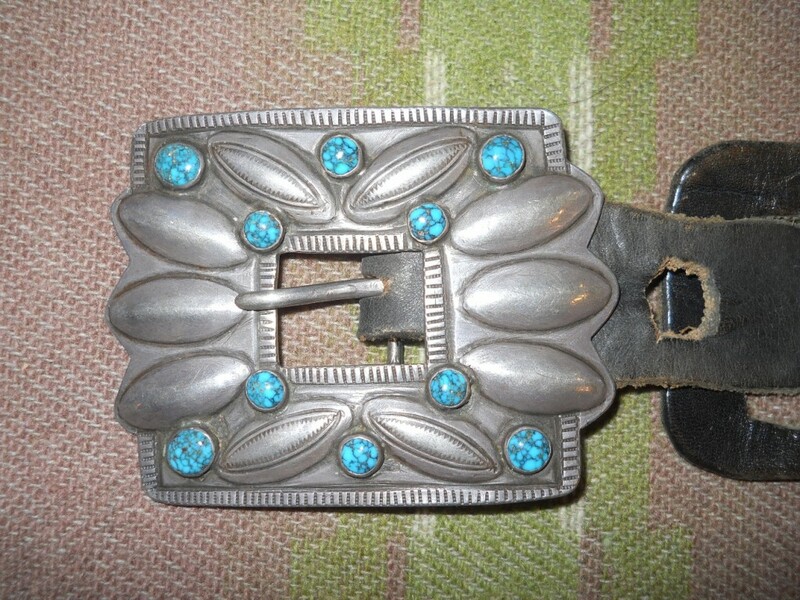 The buckle has 10 matching stones. Burnham turquoise has long been considered one of the best the southwest produced, and it is rare. 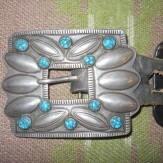 The buckle has some construction elements that my indicate Pueblo, possibly Hopi, design. Circa 1920-30. The leather has been replaced at some time but is not new. Currently 38" to 40", but could be modified easily. Conchos are handformed and irregular, but the average is 2.5" top to bottom, and 2.75 side to side. 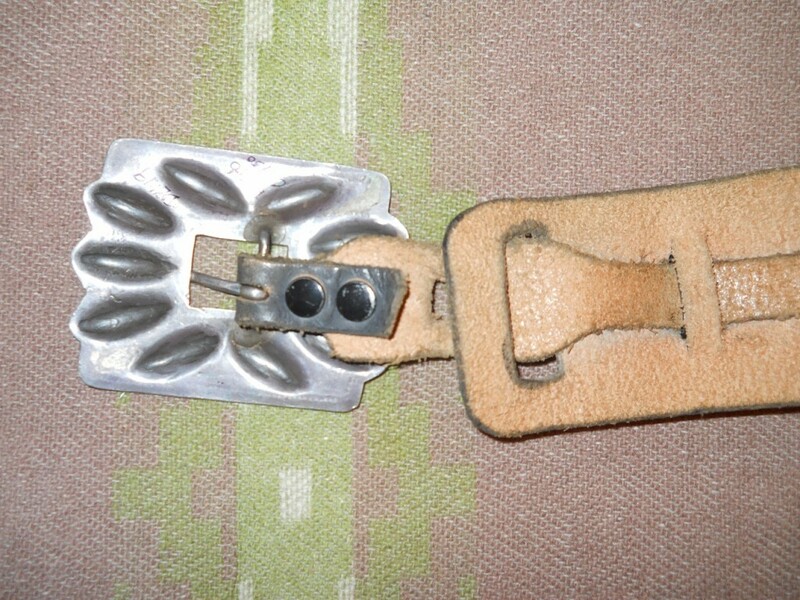 Buckle is 2.5"x 3.3". Size: Conchos are handformed and irregular, but the average is 2.5" top to bottom, and 2.75 side to side. 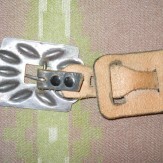 Buckle is 2.5"x 3.3".